Venturing inside the lives of a Los Angeles-based celebrity chef who infuses cannabis into his signature dishes to a former NFL player who advocates for the holistic benefits of marijuana on and off the field, the mainstream marijuana movement has permeated every layer of today’s culture and society. 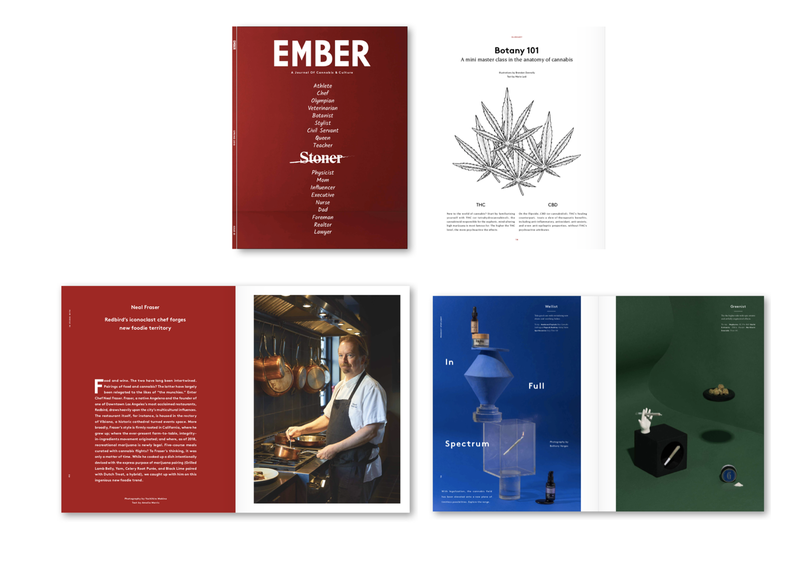 EMBER, a new quarterly print publication that explores the lifestyles of today’s most fascinating individuals who openly embrace pot in all forms and chronicles that cultural evolution. EMBER also puts a spotlight on the best in cannabis products for all occasions. EMBER celebrates the convergence of cannabis and culture by introducing a new, artful, and upscale editorial platform. Pot is increasingly part of our everyday conversation with the legalization of marijuana in various forms across 30 states—where the majority of the American population reside. Mainstreaming marijuana for everyone, EMBER’s pages champion the legalization movement, bringing it out of the shadows and into consumer purview in an aspirational, yet accessible narrative. EMBER will be available onsite at all MedMen retail locations starting April 11, 2018. Be on the lookout for more news and announcements about MedMen and EMBER soon.